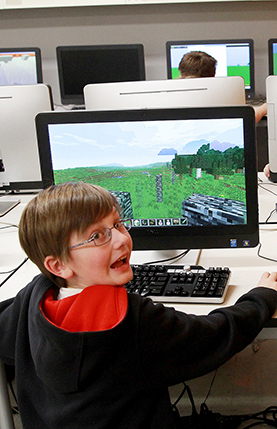 Do games help students in the classroom? From “Candy Crush” to “Call of Duty,” some 150 million Americans play video games, including all but a small fraction of children. The global spread of technology and migration of video games to mobile devices have helped propel the industry to record sales — $61 billion worldwide in 2015. Among the biggest converts to video games are educators, who are using them to teach such subjects as history, geography, science and math and to hone students' critical-thinking abilities. Meanwhile, developers are creating games to improve attention skills in children with ADHD, delay cognitive decline in adults, help recovering stroke victims and improve corporate customer service. But questions remain about video games' effectiveness at enhancing learning and cognition and whether games promote addiction or shorten attention spans. And while half of players are women, critics say gaming culture discourages female participation, a problem that could have ramifications for education as games become more prominent in schools.